You might think that classic American cruisers are all about the length of the hood, made aircraft carrier-sized to fit 37 liter V8s. Wrong! Trunks are the best part. 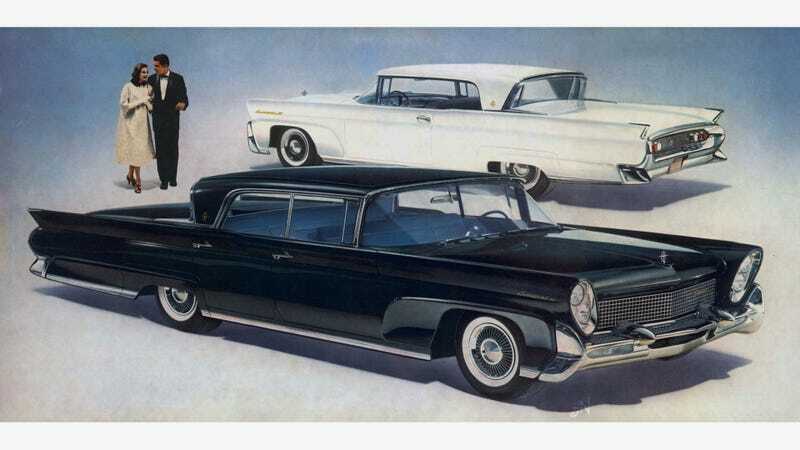 There might not be a great way to quantify exact trunk length, but we certainly get the feeling that the longest of the long was on the oft-forgotten Lincoln Continental Mark IIIs, of 1958-1960. They tried to out-Cadillac Cadillac and failed, but they failed with trunks so big they had their own area code. Can you find a more lengthy rear?